Prima | . :My place in the scrappy space:. 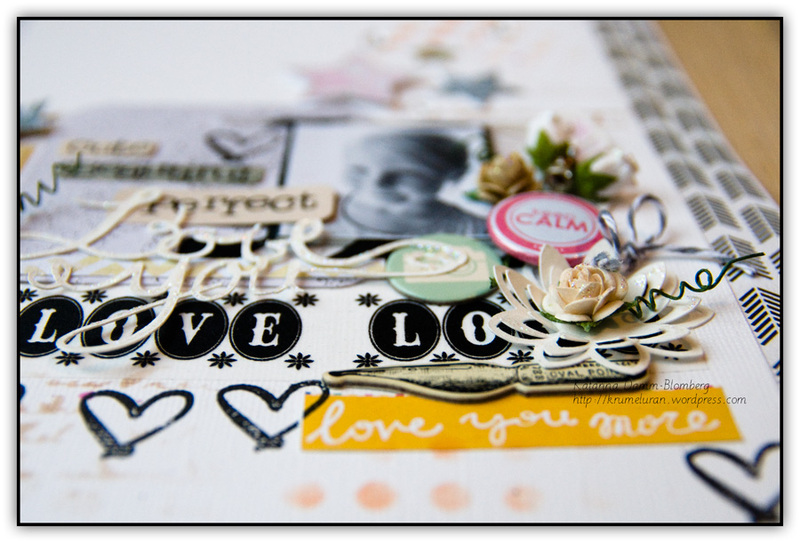 Today I´m blogging a LO over at Scraplagret. 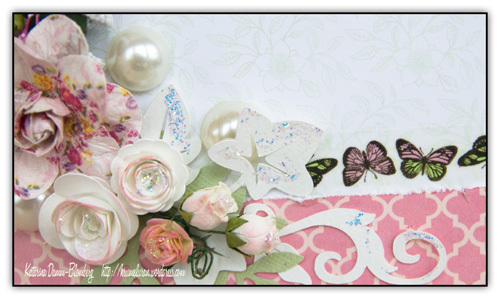 My first DT package was filed to the brim with gorgeous papers and embellishments from BoBunny. 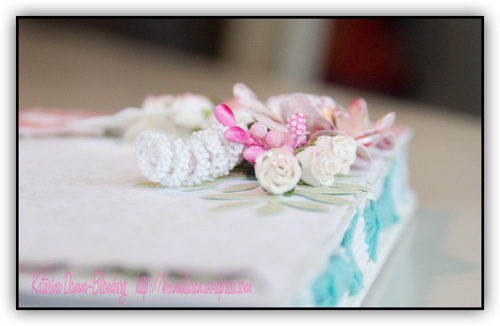 If you would like to know what materials used.,… check out the blogpost over at Scraplagret. 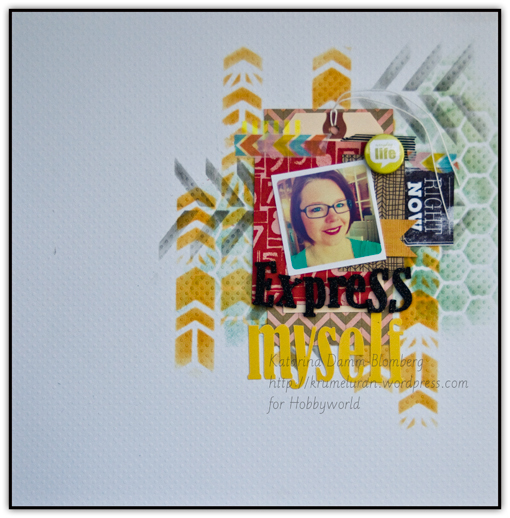 This time the challenge is M for March – make a layout using the letter M! It could be the title or anything being with M! 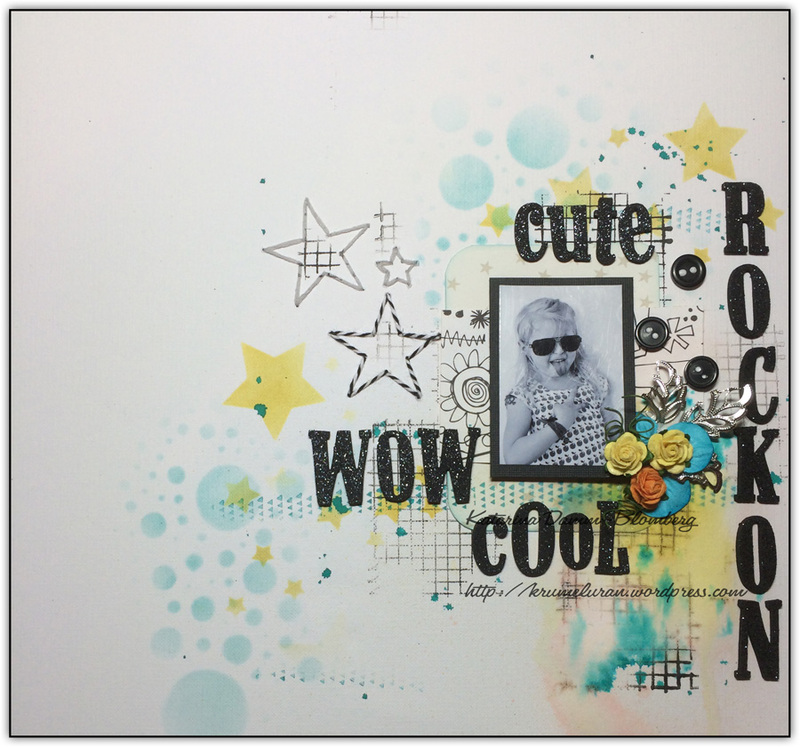 There are a few fun creative things going on behind the scenes… and today I have been scrapping some great papers from Color Conspiracy and some oldies but goodies from Jillibean Soup. 2014 have started of in a creative whirlwind of inspiration. Even if Im officially out of DT work, I love the creative process… and actually love my new freedom of being creative without even thinking of materials, brands, and what is a good LO for others. 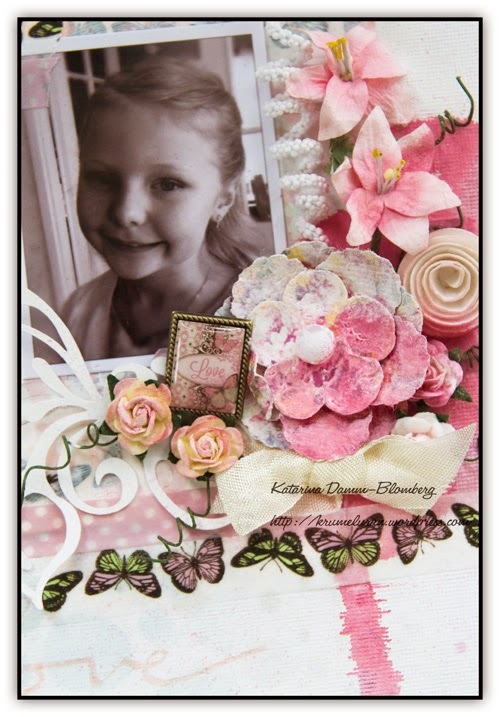 On this page I have used materials from: CartaBella, Prima, Pink Paislee, Becky Higgins, Wild Orchid Crafts, Cre8tive Cre8tions, The Twinery and diecuts from Silhouette Online store. Hope that you will have a great day! Don´t miss the Nov challenge! 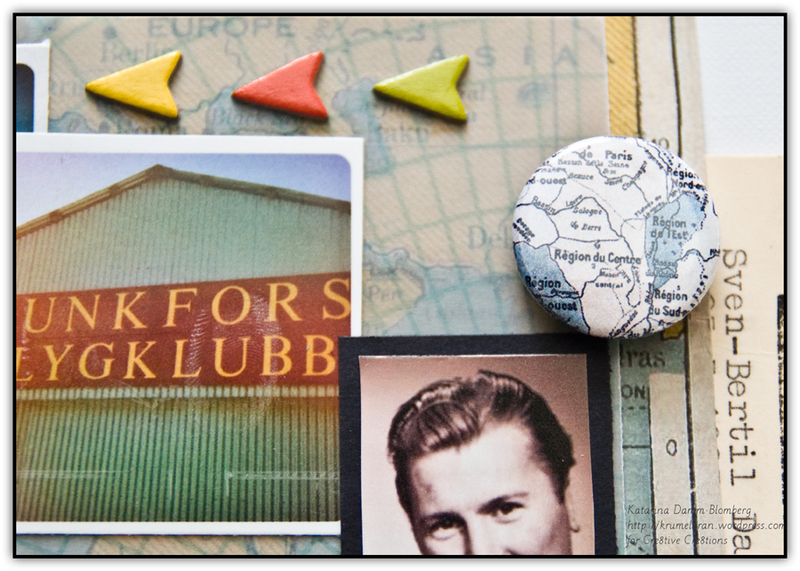 I hope that you haven´t missed the great November-challenge over at the Hobbyworld blog?! If you want to participate there is still time to enter, and the sketch made by Malin is wonderful! 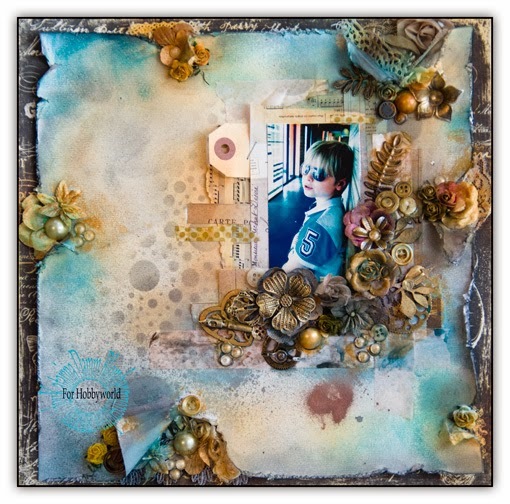 For this challenge I made this LO using loads of fun stuff from Prima and a lot of “junk” i found in drawers and my kids pockets. 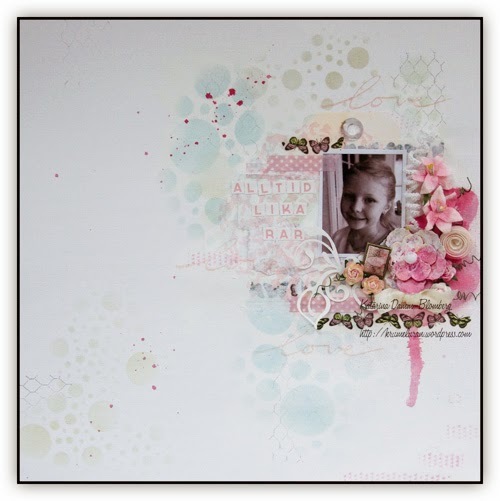 The LO was made with lots of inspiration from the Prima Educator Anna Dabrowska. 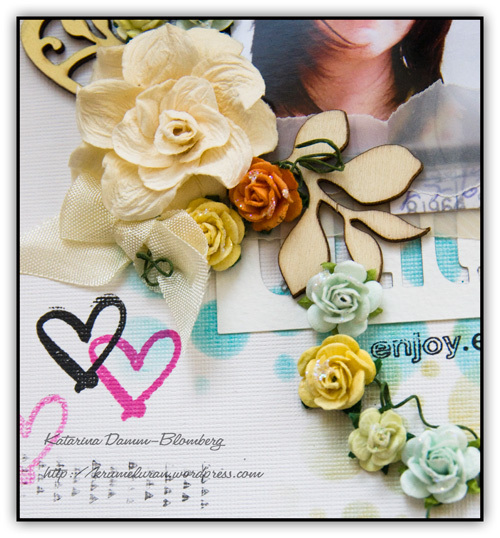 I hope that you haven´t missed this fun challenge that we have over at Hobbyworld this month. 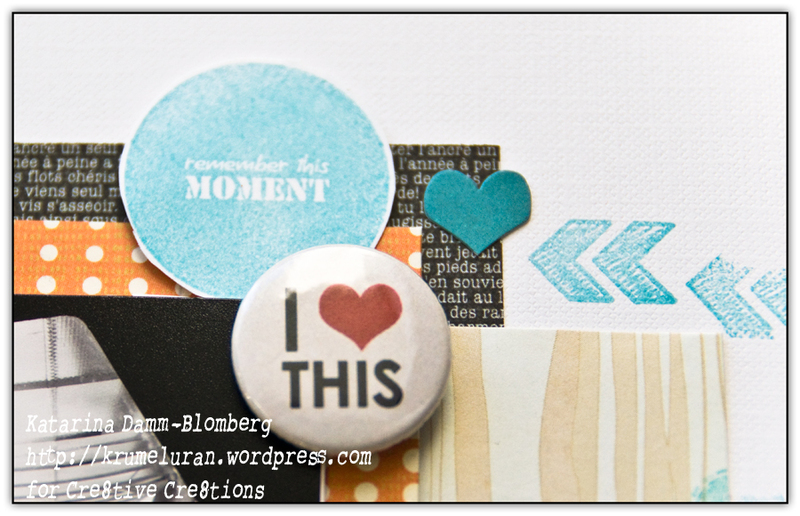 Creating with just cardstock. 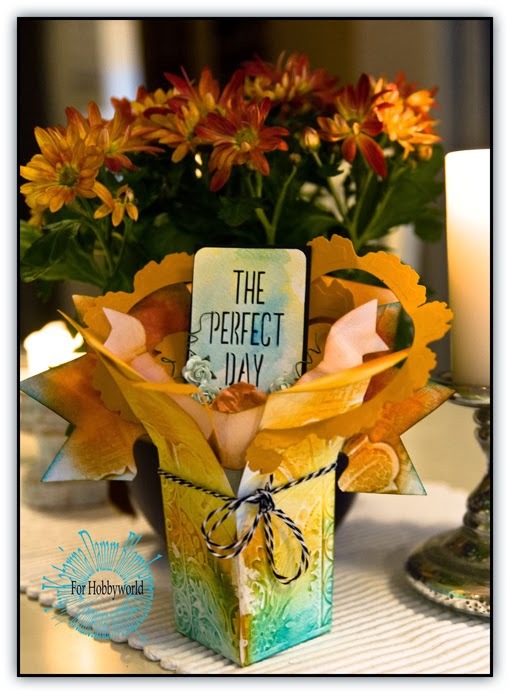 for this months creative inspiration I created a pop-up card. 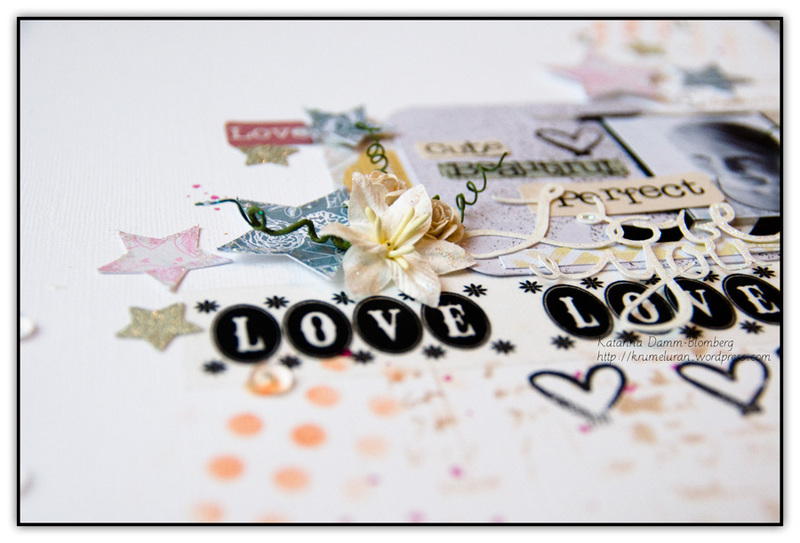 using loads of cardstock and spellbinder embossing-folders and dies. I really love how this card turned out. 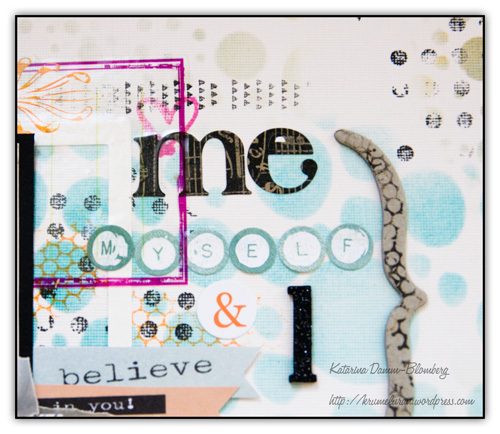 Once upon a time (10 yrs ago) I started out as a card-maker… and somewhere along the way I lost believe in myself as a card-maker, and these days I rarely make any cards at all.. Being in this contest is really challenging when it comes to the card-making part. 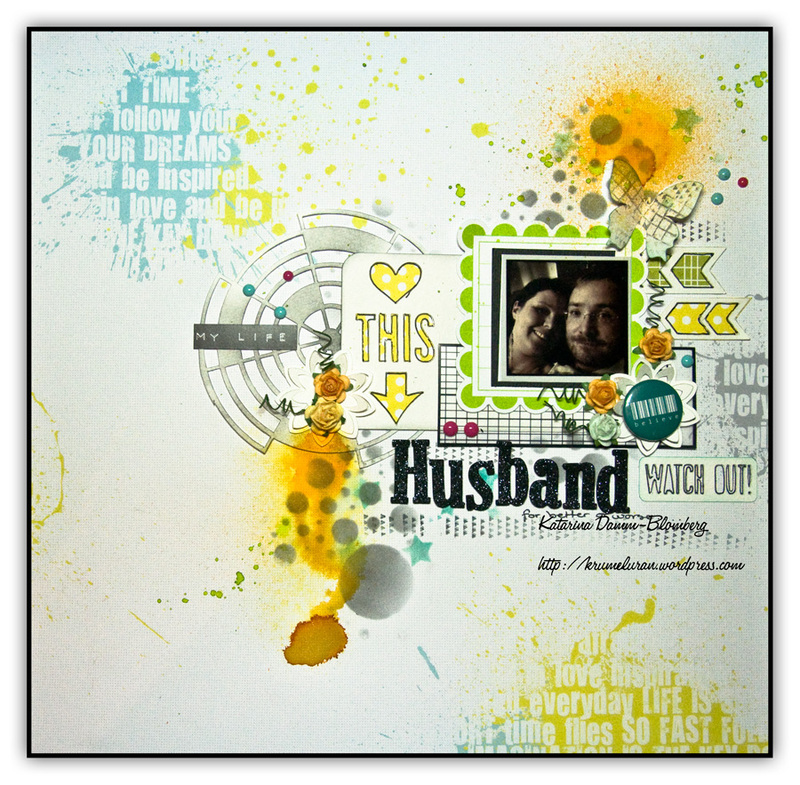 But at the same time its really fun, bringing out the aquarelle paints again, and color a funky stamp, and make a fun card. 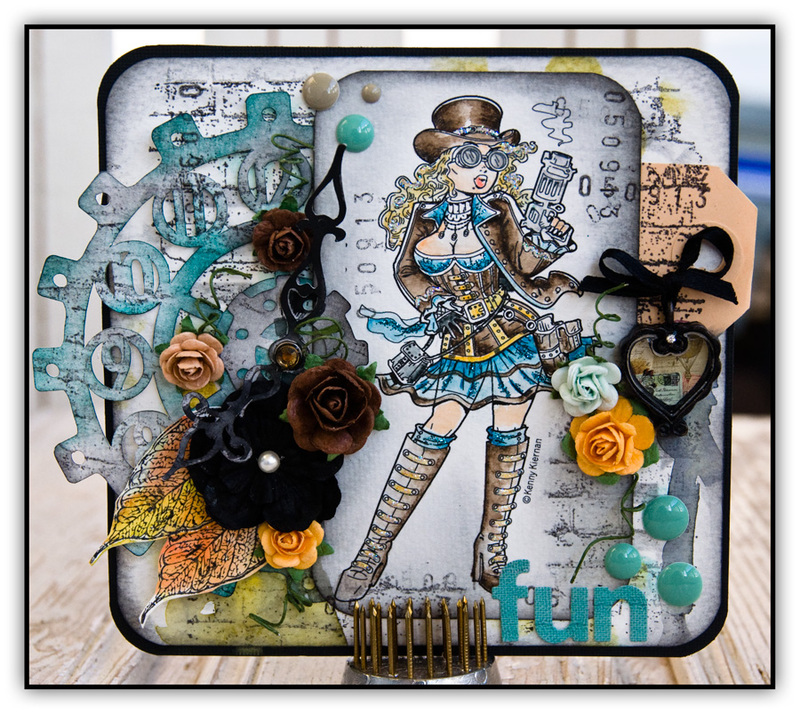 And the word Fun, was the word I picked as my word for this challenge, as it was to use one word to describe my feelings for card-making. This past month I have been in a real bad scrap-breakdown… All my energy has been focused on my work.. and my health, well at least to get a healthy portion of exercise.. Most of my updates have been on Facebook, and it´s weird how easy it is to forget about your blog…. lets take The month of April in review shall we? !